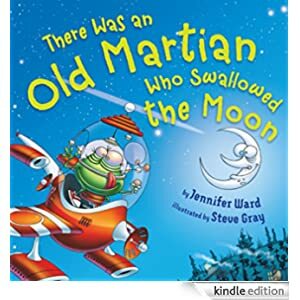 Join the old Martian as he swallows the moon, a comet, a rover, and more! Then he blasts off in his spaceship—beep, beep, ZOOM! Zany illustrations show the alien’s belly growing and growing as he eats his way through the galaxy. But what happens when the Martian gets to the sun? Young children ages 4-8 will enjoy this Kindle Fire book that is selling for only 99 cents today.